With an electric mixer, cream the butter, salt, and sugar until light and fluffy. Add the flour, lemon zest, lemon juice, and rosemary. Stir until the mixture comes together. 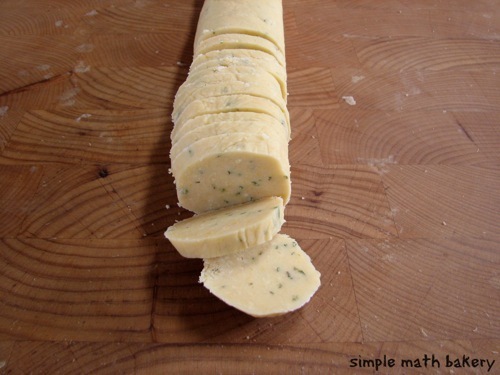 Roll the dough into a long cylinder with a 1 1/2″ to 2″ diameter. Wrap with plastic wrap and freeze until firm. When ready to bake the cookies, preheat the oven to 300°. Unwrap the roll of dough and slice the cookies 1/4″ thick. Place the cookies on a parchment lined baking sheet and prick each cookie with a fork 2 or 3 times. Bake for about 20 minutes, watching carefully to ensure that the cookies don’t burn. When done, the cookies will be a light sand color on the bottom and the edges will be just beginning to brown. Transfer the cookies to a cooling rack immediately. Store the cooled cookies in an airtight container. These cookies actually get better with age! 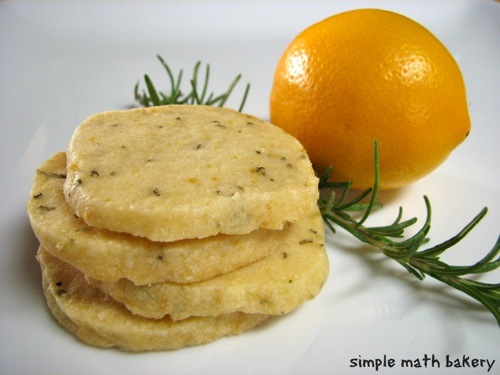 Featured image courtesy of phoebebites.com, check out her lemon olive oil rosemary cake as well.